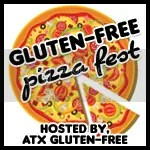 A comprehensive gluten-free guide to Austin coming soon! Rio’s Brazilian Cafe opened about seven months ago on Pleasant Valley and 5th St. We serve about ten gluten free items everyday including cheese bread, soups, salads and entrees. We even have gluten-free beer. We have need of a gluten free vendor at our farmers market at Lakeline Mall, Saturdays from 9a-1p. We are open year round and we’re there rain or shine. CPF2M is the only year round Saturday market on the north side of town. Please check out our website which is updated weekly along with our facebook page and our newsletter. If you or someone you know would like a great sales and marketing opportunity, please let me know via email. Thank you for contacting me. Will keep an eye out for potential vendors.